Absolute or dynamic viscosity is used to calculate Reynolds Number to determine if a fluid flow is laminar, transient or turbulent. Engineering ToolBox, (2003). Water - Absolute or Dynamic Viscosity. 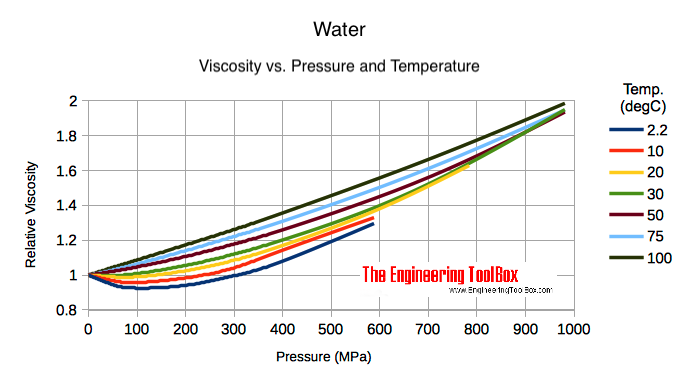 [online] Available at: https://www.engineeringtoolbox.com/absolute-dynamic-viscosity-water-d_575.html [Accessed Day Mo. Year].